Given the economic climate, businesses need to take steps to maintain their financial viability. Customers who do not pay their obligations on time cause businesses to lose money. When business owners want to recoup these monetary losses, they can turn to a Phoenix collection lawyer for assistance. As collection lawyers, we can help our clients get money that is owed to them, as well as advise them on legal proceedings against customers who are in default. People who are in default status with their creditors often ignore phone calls, letters, and other forms of communication with them. When our clients cannot reach their customers for payment, we can assume the duty of making people aware of their financial obligations. Businesses can rely on their collection attorneys to take over this duty for them. Spending time on the phone or writing letters takes owners away from the task of running their business. Relying on their collection attorneys allows our clients to resume their business duties while we take on the task of recouping their money. Customers who cannot pay sums in full might be eligible for a payment agreement. An Arizona collection lawyer can set up this arrangement for creditors and make sure that debtors uphold their promise to pay their bills. As we receive the payments from the debtors, our clients are able to make up their financial losses. However, sometimes customers do not keep their promise to pay on the agreement. When this happens, we can advise our clients on what legal steps they can take to get their money back. 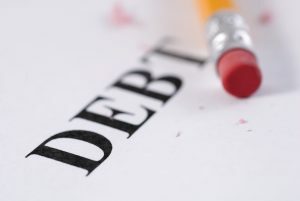 Phoenix collection attorneys can arrange for a garnishment of a customer’s income; likewise, a collection attorney can also sue the debtor in court and petition for a judgment against that individual. The goal, of course is for our clients to regain what they have lost through these legal proceedings. Moreover, we can represent companies in court hearings, allowing company owners to remain at work instead of having to take time away from their professional obligations. Focus on their work while their attorney contacts debtors. Regain losses through payment arrangements. Take legal steps, such as garnishments and judgments, against customers. Remain at work while we represent them at court hearings. Contact our Phoenix Arizona collection lawyers today at 480-325-9937.